For the next iteration of its Conversation series, the Tobin Center hosts Lou Diamond Phillips for a screening and moderated discussion of the film that gave him his first big break – 1987’s La Bamba. 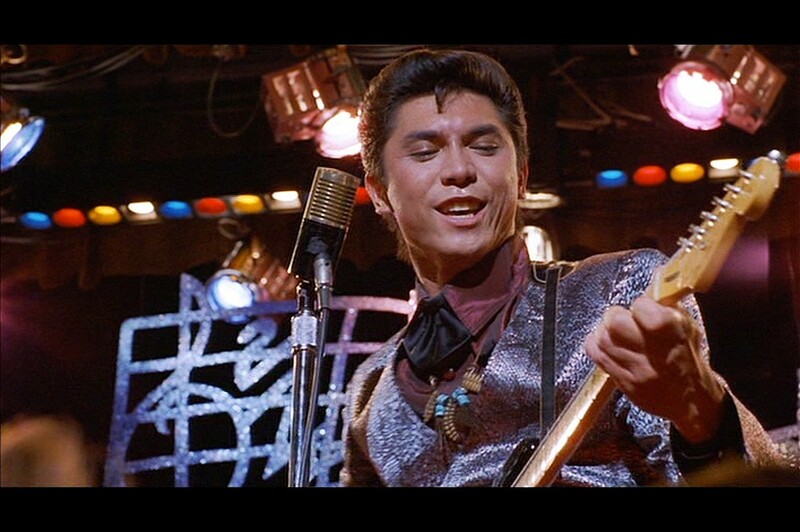 In the movie, Phillips plays Ritchie Valens, who rocketed to fame as a teen with the love ballad “Donna” and his enduring hit rendition of the folk song “La Bamba.” Tragically, Valens’ recording career spanned a mere eight months before his untimely death in the infamous plane crash that also took the lives of musicians Buddy Holly and J.P. Richardson. The film’s inclusion of Valens’ fear of flying — rendered as nightmares about a plane collision that killed a childhood friend — may seem like Hollywood hokum, but the accident and his subsequent phobia were in fact based in tragic truth. Phillips will discuss his portrayal of the young, groundbreaking musician, as well as the film’s importance both to him personally and to the general public.